Thinking about buying a new smart phone? If so, you’ve probably heard of the two new, big players right now: the iPhone 3G S and the Palm Pre. These handsets are the latest and greatest from Apple, the company that ushered in the touchscreen smartphone era, and Palm, which launched the first successful line of PDAs, or personal digital assistants. While we can't make up your mind for you on which to spend your hard earned cash, we can lay out the pros and cons of both devices to simplify the decision making process. Apple claims the "S stands for speed," and a quick check of benchmarks run by AnandTech shows they aren't kidding. The new iPhone 3G S is not just significantly faster than the iPhone 3G, but also trounces the Palm Pre when it comes to sheer performance. For example, according to AnandTech, the Pre takes almost nine seconds to launch Google Maps -- the iPhone 3G S takes less than three. That speed will, of course, be put to good use by iPhone with its catalog of over 50,000 applications in the iTunes App Store. And in case you’re wondering, the App Store is perhaps the biggest pro of the iPhone. It's had three years to develop, and you'll find everything from instant messengers to 3D games to shopping applications. The latest update to the iPhone OS also brings what are called “push notifications” to the party, allowing apps to alert you to new information—such as breaking news and new messages—even if they're not running. On the other side, though push notifications are a welcome update to the iPhone, they can't compete with the Pre's full-fledged multi-tasking. The iPhone can only run one application at a time, but the Pre can run several apps at once—so you can resume tasks where you left off and let applications update in real time. 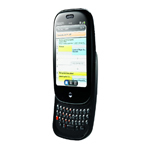 The Pre's WebOS is also tightly integrated with services like Facebook and Google for syncing your contacts and calendars and merging them into one repository on your phone. The iPhone takes a more traditional approach to data syncing, requiring either a Mobile.Me or Exchange account to do proper over-the-air updates to contacts and calendars. Of course there is also value and price to consider. 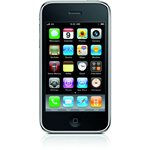 The iPhone 3G S offers twice the storage for apps, videos and music as the Pre at the same price point. But while the iPhone costs less up front, you'll pay $50 less per-month for unlimited voice, data, and messaging for the Pre on the Sprint network. To compare total cost of ownership, check out billshrink.com's chart. So which is better for your needs? The iPhone has the advantage of being a more mature platform. Developers have had three years to build up a collection of applications, and it has access to the massive catalog of video, music and podcasts available through iTunes. Palm's WebOS, on the other hand, is brand new and its catalog of apps is extremely limited right now. But its ability to run multiple applications at once and its integration with social networking services give it a very promising future. Palm has also struck a deal with Amazon that lets you purchase music through its digital media store directly from the phone, though it will likely never match simplicity and size of iTunes.Check out the table below for a quick break down of features and prices.